We are a group of people who enjoy knitting, sewing and stitchcraft in general. 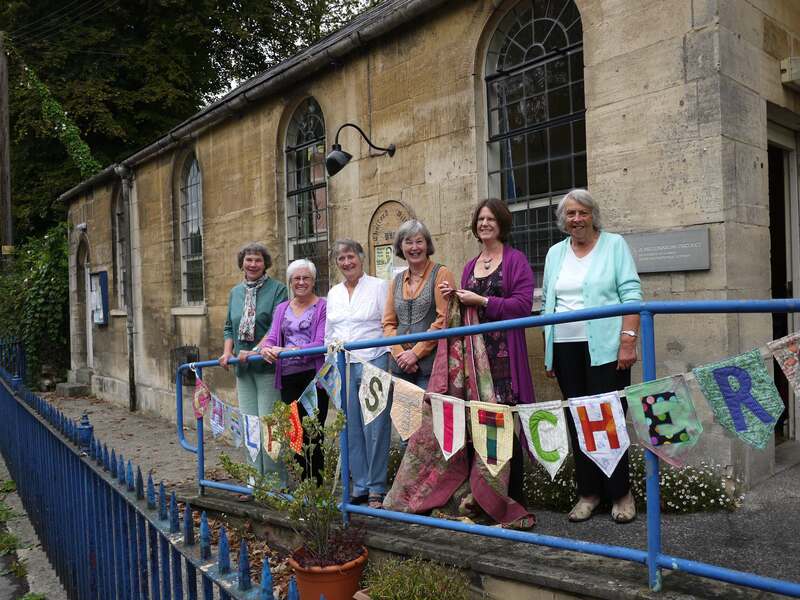 We meet weekly in a charming village hall in Chalford, on the road between Stroud and Cirencester. The group was started by Kath Leworthy, who helped rescue the hall from dereliction in 1999. The group has been meeting ever since that date, with an ebb and flow of members. Currently about 15 of us meet there weekly. 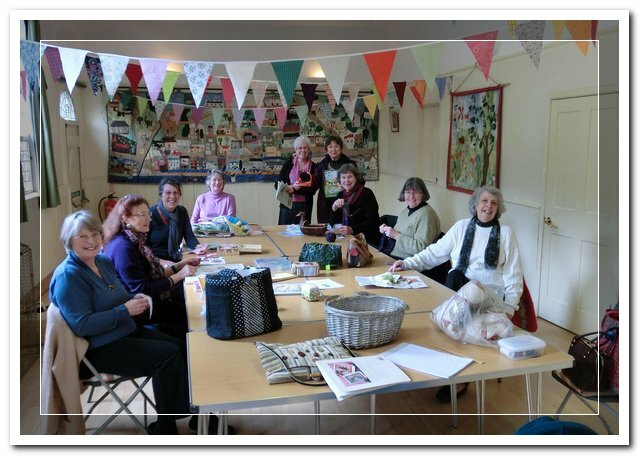 People bring their own projects to the sessions, but we also work on group projects, especially quilts for our local women’s refuge – see the page Community Involvement. We take pride in supporting each other, and sharing skills.